The HIPAA Privacy Rule and the HIPAA Security Rule require covered entities, like DeYoe Wellness, to obtain written assurances that their business associates will appropriately safeguard Protected Health Information (PHI). Failure to comply can result in civil and criminal penalties. It is for this reason we have secured HIPAA Complaint Email services from our provider, GoDaddy. This added layer of security keeps your information private and secure. 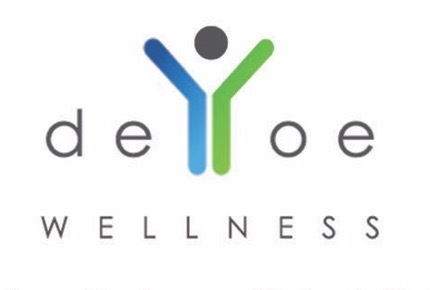 DeYoeWellness.com is a secure site by way of an SSL Certificate. The primary reason why SSL is used is to keep sensitive information sent across the Internet encrypted so that only the intended recipient can understand it. This is important because the information you send on the Internet is passed from computer to computer to get to the destination server. Any computer in between you and the server can see your credit card numbers, usernames and passwords, and other sensitive information if it is not encrypted with an SSL certificate. When an SSL certificate is used, the information becomes unreadable to everyone except for the server you are sending the information to. This protects it from hackers and identity thieves. At any time, site visitors can click on the SSL Certificate logo at the bottom of any of our web pages to verify that the Certificate is in fact active and running.